The Research-Practice Partnership (RPP) Grants Program is intended to support education research projects that engage in collaborative and participatory partnerships with project budgets up to $400,000 and durations of up to three years. We accept Intent to Apply forms once a year in this program. We views partnerships as an important approach to knowledge generation and the improvement of education, broadly construed. Rigorous partnership work is intentionally organized to engage diverse forms of expertise and perspectives, across practitioners as well as scholars and disciplines, in knowledge generation around pressing problems of practice. Further, RPPs can facilitate the long-term accumulation of knowledge in new ways as researchers and practitioners work together to ask practitioner-relevant questions on key topics in specific settings over time. Many key problems of practice are historically saturated and require long-term perspectives and engagement, if sustainable and systemic change is to occur. Over the long term, we anticipate that research conducted by RPPs will result in new insights into the processes, practices, and policies that improve education for students, educators, schools, universities, families, and communities. This grant program is open to partnerships between researchers and a broad array of practitioners. We define practitioners as school districts, county offices of education, state educational organizations, universities, community-based organizations, out of school time providers, informal educators, or other social sectors that importantly impact students’ lives. As such, we are open to applications from design-based research teams, network improvement communities, and placed-based research alliances. We expect the partners in the RPPs we fund to have engaged in fruitful long-term collaborations. How this history is evidenced can vary. For example, teams might have a track record of success as demonstrated by in-process or completed research studies, solutions-in-progress, established trusting relationships, or data-sharing agreements, amongst other possibilities. This grant program is specifically intended to build the capacity of partnerships to make educational change. Effective governance is a key aspect of successful partnerships, and as such all proposals should specify their governance structures and how the work is jointly developed across all partners. Additionally, we expect that partnerships will centralize issues of diversity, equity, and inclusion and articulate these dimensions in the project design. 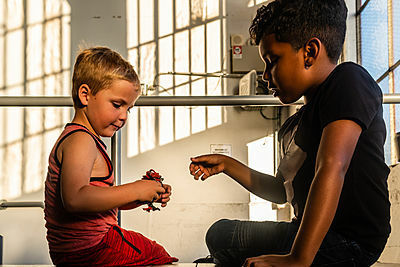 While this grant program is open to all partnership configurations across a range of learning contexts, in addition to pre k-12 school systems, we especially encourage applications from partnerships that include scholars and institutions of higher education, rural geographic locations, and partnerships that deeply engage community-based organizations and families. Research is fundamental to every research-practice partnership, and we expect research activities to be the central element of every proposal. In addition to detailing a plan for research, successful applicants may also prioritize plans for communicating and disseminating key findings that have the potential to foster positive educational changes. The following categories are meant to be illustrative, but not exclusive, of activities beyond the research that could be funded under this program. We expect proposed activities will be highly related to partnership type and context but will also, at their core, have the potential to make a contribution to improved educational policy and practice beyond the specific context in which scholars and practitioners are working. Each proposal should describe new studies that would be launched or existing research activities that would be expanded with the grant. Examples might include randomized trials of new curricula, participatory studies with student and family co-researchers; designed-based research focused on teacher classroom practice; needs mapping with community partners; or deep descriptive work focused on a range of student outcomes. We encourage a wide range of research methods and approaches. Funds may be used for building and sustaining infrastructure needs for the research activities of the partnership. These infrastructure needs may apply the full range of methodological approaches. Examples may include the development of surveys, assessment tools, and other instruments; the development of co-design protocols; and the upkeep of data archives and matching systems. Additionally, administrative activities concerning data may be supported by this grant. These may include developing IRB and review protocols, creating standard data definitions, co-designing consent forms, and developing data security and privacy protocols. Activities that strengthen the working relationship between partners and other stakeholders are also a possible component of the projects. Successful research-practice partnerships devote a great deal of attention to building and maintaining trust across stakeholder groups and within their partnership. Potential activities may include convening researchers, educators, students, parents, and other participants to co-design a research agenda; hiring a communication specialist and/or developing a strategy for communicating research findings to important constituents; supporting staff in the partner organizations to manage partnership relations; preparing research reports and other publications to present the work of the partnership to the public. Many research-practice partnerships seek to assist the practice partner in developing capacity to use research evidence and data in their daily decision-making. Funds could be used to learn how to better engage others in research, conduct better practice-driven research, or to be better equipped to communicate complex research findings to practitioners, families, communities, or policy makers that were not primary partners. We also see the importance of developing the next generation of scholars and practitioners who are prepared to collaborate in partnerships to improve both practice and research. We encourage proposals that include funds dedicated to the development of skills and expertise in conducting research in partnership for graduate students and early-career professionals and researchers. While we expect that most proposals will include funds to support graduate students as part of the partnership, proposals could include plans for training and education beyond that. Examples might include the development of a research methods course focused on research partnerships, the production of online training modules, or the integration of research-practice partnerships in teacher or principal preparation courses. Describe the nature of your partnership, including but not limited to: who the key organizational players in the partnership are, the history of the partnership, its theory of change, central goals and achievements to date, and how you envision the partnership progressing over the next five to ten years or longer. We also expect the proposal to make a compelling argument for why your partnership is useful and how it adds value above traditional research. Describe the activities you will undertake with support. A clear articulation of your research activities should be a central component of your proposal narrative. You may describe how funds will be used to strengthen ongoing research activities or enable you to launch new studies. Situate these research activities in one or more particular topic area(s) and explain how proposed activities will lead to knowledge generation that ultimately advances understanding of the issue and leads to improved policy or practice. To make this argument, you may consider briefly describing existing research and gaps in that work, but we do not expect a full literature review. In addition to research activities, you should describe how funds will support activities that fall under at least one of the three other categories: (1) research infrastructure; (2) outreach, communications, and relationship-building; or(3) capacity-building. We recognize that there may be activities that will advance your work that fall outside these categories. We will consider proposals that seek funds for other kinds of activities with a compelling rationale for their importance to your work. When describing the research and other activities you seek support for, it is important to clearly specify what these activities are and explain why support for them is critical to advancing the work of the partnership and realizing its long-term potential. Finally, describe the key personnel involved in the work of the partnership and their experiences and qualifications to do this work. The PI should be associated with the administering organization for this grant, which could be either the practitioner or researcher of the partnership. At least one Co-PI should be from the other member organization(s). This section should not exceed 800 words. Formatting requirements:The proposal narrative may not exceed 4000 words; at the conclusion of the narrative, please note the word count in parentheses. Your reference list should follow your narrative in the same PDF and will not count toward the 4000-word limit. The text should be double–spaced and in a standard, readable font and font size. Project timeline: The project timeline should indicate the proposed start and end dates of the partnership activities as well as key events and milestones. The project timeline may be presented as a chart or in paragraph format, but it may not exceed 2 pages. Budget: Research-Practice Partnership budgets may not exceed $400,000 and may not include more than 15% indirect cost charges. In addition to providing details about partnership expenses, applicants are required to offer a brief explanation of each line item on your budget should be provided. If your project will have a sub-contract(s), a downloadable sub-contract form should be filled in and uploaded for each sub-contract. The sub-contract budget itself may include the 15% indirect cost charges, but the sub-contract total may not be included in the main budget when calculating the overall indirect cost charges for the project. Letters of support and engagement: A letter from the partner organization(s) to the administering organization submitting this application should be uploaded. This letter should describe the value of the partnership from the partner's perspective. If there is more than one partner organization, please consider joint letters or one representative letter. Appendices: If you have additional documents that you feel will strengthen your submission, they may be included in this section. Examples of applicable appendices include Memoranda of Understanding (MOUs), data-sharing agreements, description of governance processes, and other relevant documents. Proposals to the Research-Practice Partnership program must be for research and other activities aimed to support collaborative partnerships between academic researcher(s) and a broad array of practitioner(s) of education. Principal Investigators (PIs) and Co-PIs applying for a Research-Practice Partnership Grant are expected to have an earned doctorate in an academic discipline or professional field, or demonstrated professional experience appropriate for this program. While graduate students may be part of the team, they may not be named the PI or Co-PI on the proposal. The PI must be affiliated with a college, university, school district, non-profit research facility, or non-profit cultural institution that is willing to serve as the administering organization if the grant is awarded. The Spencer Foundation does not award grants directly to individuals. The PI associated with the administering organization for this grant could be either the practitioner or researcher of the partnership. At least one Co-PI should be from the other member organization(s). Research-Practice Partnership budgets are limited to $400,000 including up to 15% indirect cost charges. Duration proposed may not be longer than 3 years. PIs and Co-PIs may only hold one active research grant from the Spencer Foundation at a time. PIs and Co-PIs may not submit more than one application for a given deadline to this program. Partnerships that have previously received funding from the Spencer Foundation are ineligible to apply. The initial step in submitting a proposal for a Research-Practice Partnership grant is to submit an Intent to Apply form following the guidelines below. The Intent to Apply form is required before you can proceed to the second step and submit a full proposal. Intent to Apply forms are due by 2:00pm central time, May 24, 2019. Once the Intent to Apply form is submitted, applicants will have access to the full proposal application. Full proposals will be due by 2:00pm central time, June 19, 2019. The Intent to Apply form must be submitted through an online application form following the guidelines below before you be given access to the full proposal application. To fill out the Intent to Apply form, go to your Workbench and click the Apply button for the Research-Practice Partnerships. Your draft form can be saved and returned to so that you may continue work on it at a later time if necessary. Your draft form will be available on your Draft Proposals list on your Workbench. Within the online form, there are detailed guidelines for each section. Below is an overview of the application elements you’ll be expected to complete. Project Personnel - As the person creating the draft application, you will automatically be assigned to the proposal as the Principal Investigator. If there are Co-PIs on the proposal, you are asked to provide their names and organizations in this section. Proposal Summary – Information about the proposal is requested, such as the project title, estimated duration and a 200-word project summary. Project Data – Within the online applicatiom, we ask you to check off the appropriate options with regard to your research activities in the partnership in the following categories: disciplinary perspective, methodologies, topics, geographical scope, contexts, and participants. This information is helpful in determining the appropriate reviewers for your Letter of Intent and for internal evaluations of our grant programs. Once you’ve completed the form, click the Submit button at the bottom of the page. You’ll now have access to the Full Proposal application form on your Workbench. Note: You must complete an Intent to Apply for by May 24th if you intend to submit a Full Proposal for the June 19th deadline. Once your Intent to Apply form has been submitted, you will have access to the Full Proposal application on your Workbench. Within the online application, there are detailed guidelines for each section. Below is an overview of the elements you’ll be expected to complete. Project Personnel – It is necessary for you to connect the profiles of the Co-PI(s) to the full proposal. Instruct your Co-PI(s) to create an account and update their profile following Steps 1 and 2 above. Once they have done so, follow the guidelines in this section for connecting them to the proposal. Proposal Summary – Information about the project is requested, such as the project title, start and end dates, and a 200-word summary. Research activities – Describe the activities you will undertake with support from the foundation. A clear articulation of your research activities should be a central component of your proposal narrative. You may describe how funds will be used to strengthen ongoing research activities or enable you to launch new studies. Situate these research activities in one or more particular topic area(s) and explain how proposed activities will lead to knowledge generation that ultimately advances understanding of the issue and leads to improved policy or practice. To make this argument, you may consider briefly describing existing research and gaps in that work, but we do not expect a full literature review. Additional activities – In addition to research activities, you should describe how funds will support activities that fall under at least one of the three other categories: (1) research infrastructure; (2) outreach, communications, and relationship-building; or (3) capacity-building. We recognize that there may be activities that will advance your work that fall outside these categories. We will consider proposals that seek funds for other kinds of activities with a compelling rationale for their importance to your work. The proposal narrative It may not exceed 4000 words and at the conclusion, should include the word count in parentheses. Your reference list should follow your narrative in the same pdf file and will not count toward the 4000-word limit. The text should be double–spaced and in 12-point font. APA style is preferred. Partner Letter: A letter from the partner organization(s) to the administering organization submitting this application should be uploaded. This letter should describe the value of the partnership from the partner's perspective. If there is more than one partner organization, please consider joint letters or one representative letter. Project timeline: The project timeline should indicate the proposed start and end dates of the partnership activities as well as key events and milestone. The major activities listed in the project timeline should be reflected in the proposal narrative. The project timeline may not exceed 1 page; proposed project duration can be up to 3 years. Project Team: A document should be uploaded that identifies the roles, responsibility and knowledge base of the key personnel involved in the partnership. The Principal Investigator should be associated with the administering organization for this grant, which could be either the practitioner or researcher of the partnership. At least one Co-PI should be from the other member organization(s). This document should articulate how the team will work together toward the goals of the partnership, highlighting what each team member will contribute to the work. When applicable, please discuss the learning opportunities team members may experience through their participation in this project. This document may not exceed 800 words and the text should be double–spaced and in 12-point font. Optional Appendices A – If you have additional documents focused on scientific instrumentation relevant to the research activities, for example interview protocols or survey instruments, they can be uploaded in this section of the application. Optional Appendices B – If you have other supporting documents, such as letters of agreement or collaboration, Memoranda of Understanding (MOUs), data-sharing agreements, description of governance processes, and other relevant documents, they can be uploaded in this section of the application. A note about IRB Approval: Proof of Institutional Review Board (IRB) approval is not required at the time of proposal submission. In the event that IRB approval is needed for this project and it is chosen for funding, the Administering Organization will be responsible for obtaining IRB review and approval in accordance with its institutional policies and applicable law. Signature from Authorized Representative of the Administering Organization- This section of the application details the steps necessary to obtain the authorized signature for your proposal. You are required to provide the Signatory’s name, title, and email address. Note: You, as the applicant, are responsible for making sure your proposal is signed by the deadline. The Spencer Foundation is unable to accept late submissions. The initial step in submitting a proposal for a Research-Practice Partnership Grant is to submit an Intent to Apply form. The Intent to Apply form is required before you can proceed to the second step and submit a full proposal. Intent to Apply forms are due by 2:00pm central time, May 24, 2019. These forms are not evaluated or used to invite full proposals, but instead are intended to provide the foundation with information to better manage the review process of the full proposals. Once the Intent to Apply form is submitted, applicants will have access to the full proposal application. Full proposals will be due by 2:00pm central time, June 19, 2019. All full proposal submissions are reviewed by external peer reviewers and internal staff. The review process of the full proposals takes approximately 5-6 months with decisions being sent in December 2019. During the review process, we utilize a panel of external reviewers, along with our internal staff, to help with our deliberations. Q: Do you support the work of research-practice partnerships in sectors other than K-12 and higher education? A: Yes, partnerships between researchers and practitioners in educational settings that span the life course (i.e., from early childhood to adult learning) as well as those that focus on contexts outside of school are eligible. Q: Do you support small-scale research-practice partnerships, for example a partnership between a researcher and a classroom teacher, or a partnership between the administrator of a small after-school program and a researcher? A: We certainly see value in these partnerships, but this grant program is aimed at larger-scale partnerships that are likely to involve multiple schools or other educational sites. Because the program is intended to support long-term capacity building, we think that the larger scale is important for long-term viability. Q: Many professors and colleges of education partner with schools to provide professional development or pre-service and in-service training and would like to add a research component to their work. Are these partnerships suitable for this grant program? A: Partnerships based on providing professional development would only meet the criteria for this grant program if they already had a history of conducting research jointly. Q: Can the practice side of the partnership be the administering organization or principal investigator for the grant? A: Yes. Given our emphasis on supporting partnerships that are mutualistic, we can imagine a scenario where the principal investigator is the director of a practice-oriented organization. Q: If the practitioner is the lead PI for the grant, do they need an earned doctorate to be eligible? A: Not necessarily. If the PI will be from the practice side of the partnership but does not have an earned doctorate, reviewers will expect them to have demonstrated professional experience appropriate for this RFP. However, we do expect the partners on the research side of the partnership to have an earned doctorate in an academic discipline or professional field. Q: Am I allowed to subcontract with my partnering organization? A: Yes. In many cases, subcontracting with the partner organization might be appropriate. The details on how to create a budget with subcontracts are available in the application guidelines. Q: Do you accept proposals for this grant program for partnerships outside of the U.S. or between U.S and international agencies? Q: I would like to speak with someone about my partnership before submitting a proposal. Is this possible and whom should I contact? A: If you have reviewed the program statement and are still uncertain as to whether your partnership falls within the Spencer Foundation’s funding mission and request for proposals, feel free to email us at research-practice-partnership@spencer.org for guidance. While we are not able to provide feedback on proposal drafts, we are happy to answer questions by email. From 2015 to 2017, the foundation funded 22 grants in the previous Research-Practice Partnerships program before evaluating our grantmaking in this area and revising our call for proposals.